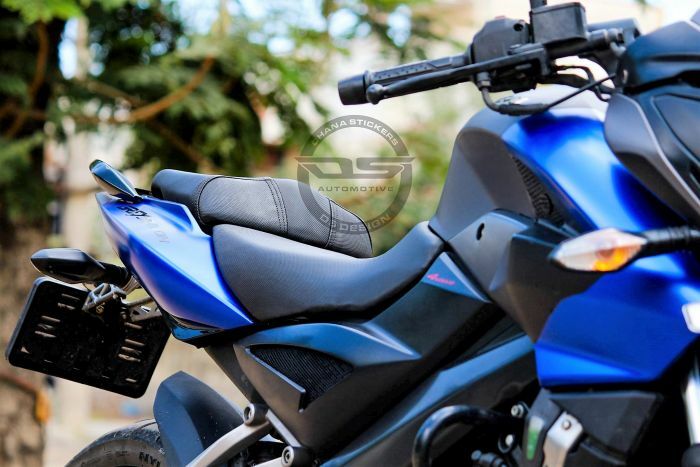 Bajaj Pulsar NS200 Grey Edition by DS Design is an amazingly wrapped naked street fighter for the Indian market. 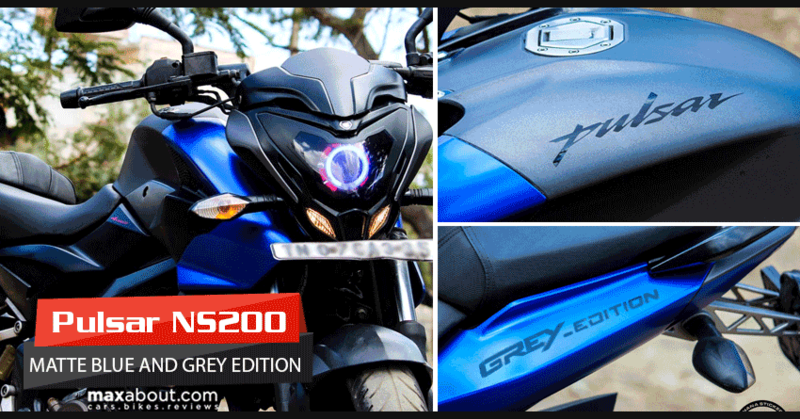 NS200 initially looks beautiful with its benchmark street influenced design while the application of custom blue and grey wrap on the motorcycle makes it better than ever. 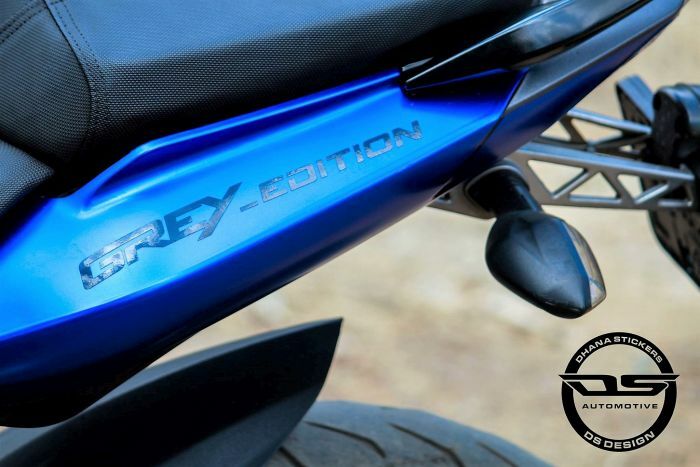 Not just that, DS Design has even covered the most minor details of the motorcycle with full precision. The front fascia gets updated with aftermarket projector headlight with white and red devil eye finish. 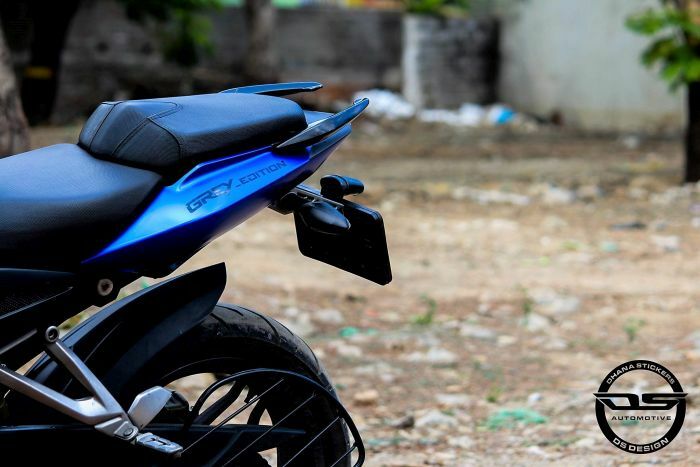 The fuel tank is finished in matt grey and gets Pulsar moniker in black on its top. 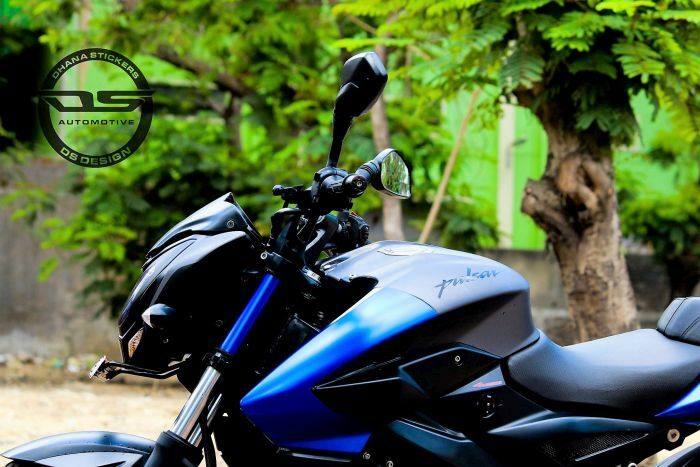 The tank extensions are finished in matt blue, matching those blue back-lit buttons on the motorcycle. NS200’s rear panels are even finished in the same matt blue shade. 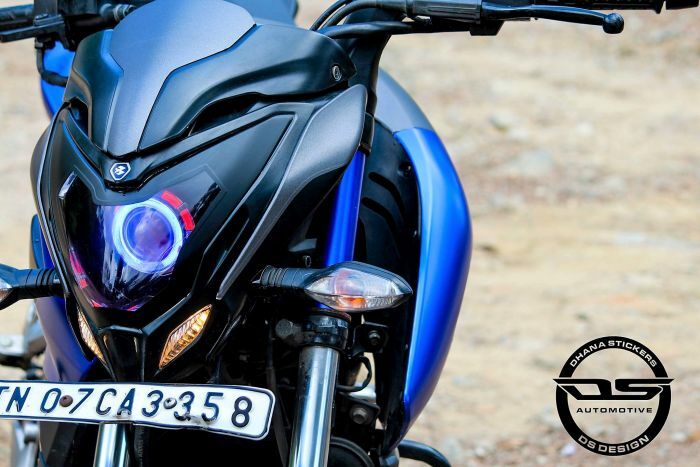 The front fascia even gets high spec detailing with Black inserts on the headlight itself, making the face look different from the stock version and not even compromising on the scattering of light through the projector headlight. 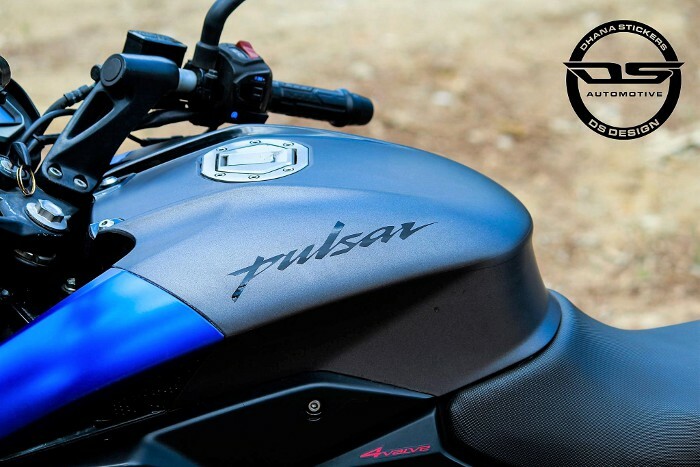 Bajaj Pulsar NS200 is powered by a 199.5 cc, liquid-cooled single-cylinder engine producing 23.5 HP at 9500 rpm and 18.3 Nm at 8000 rpm. 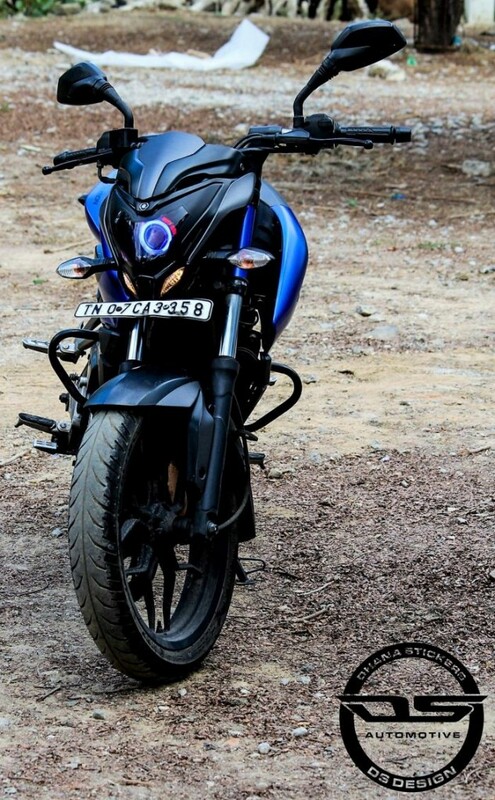 The engine comes mated to a 6-speed gearbox and claims a top speed of 136 kmph (approximate). 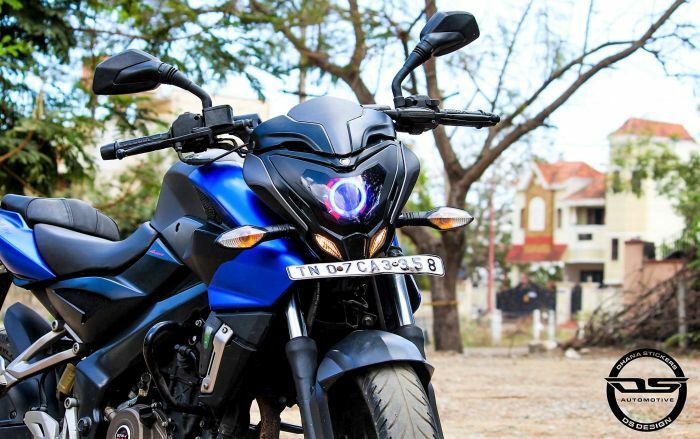 At present, the motorcycle is available with 1-channel ABS for an ex-showroom price tag of INR 1.12 lakh. 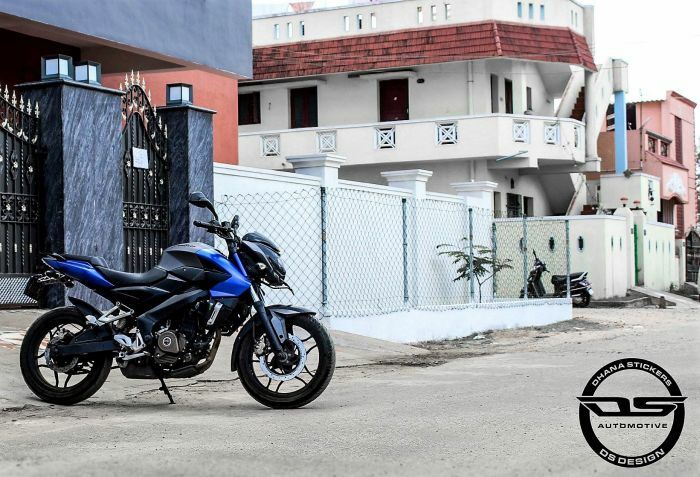 Pulsar NS200 comes with a 12-litre fuel tank and returns around 35-40 kmpl of mileage in everyday riding conditions. 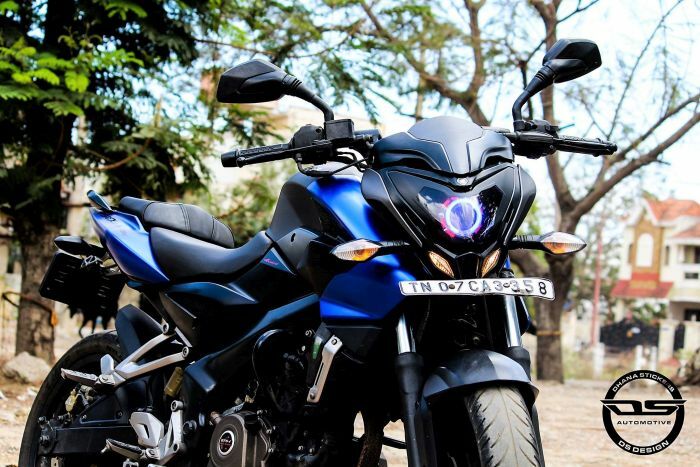 It is expected that Bajaj Auto will launch the fuel injected version of the NS200 in India in the coming months.